“This Could Be the Start of Something Big” was written by multi-talented Steve Allen. 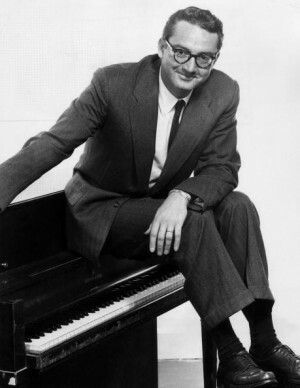 Allen was the first host of The Tonight Show in 1953. He was also an accomplished pianist and singer and, as evidenced by this song, a fine composer as well. “This Could Be the Start of Something Big” was recorded live at Tony Bennett’s concert at Carnegie Hall on June 9, 1962, but was not released until 1997 on the album Tony Bennett at Carnegie Hall: Complete Concert. Ralph Sharon arranged the song. “This Could Be The Start Of Something Big” was recorded on April 8, 1964 and released in 2011 on Tony Bennett Live at the Sahara: From This Moment On, as part of the 2011 Complete Collection. It was arranged by Ralph Sharon.